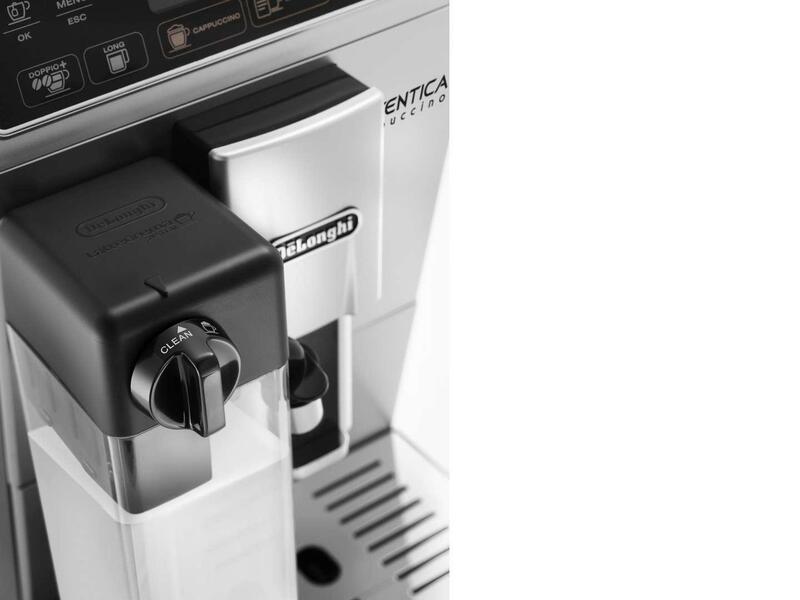 The De’Longhi Autentica Bean to Cup coffee machine is packed with technology to serve you the perfect cup of coffee time and again, personalised to you and fresh from beans to cup, just like a Barista and without the fuss. 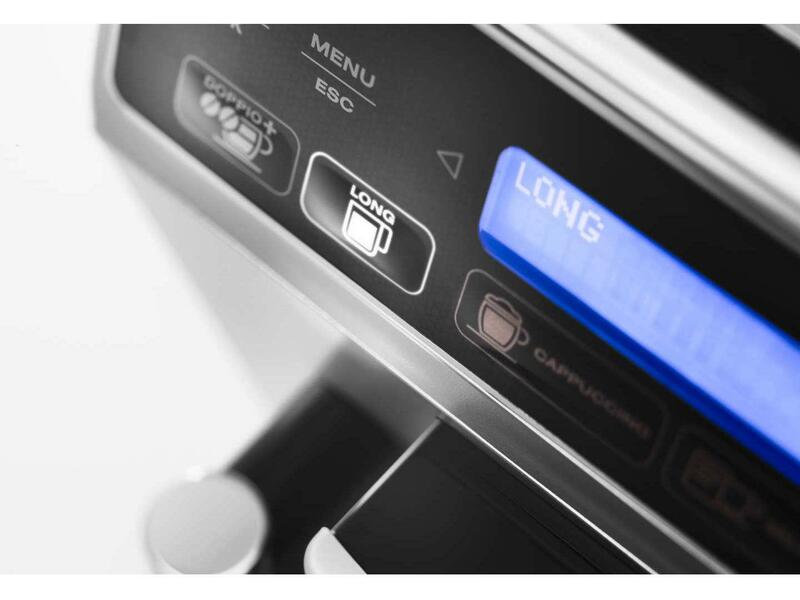 Our bean to cup machines are designed and manufactured in Italy. You can be certain of a real Italian coffee at home. 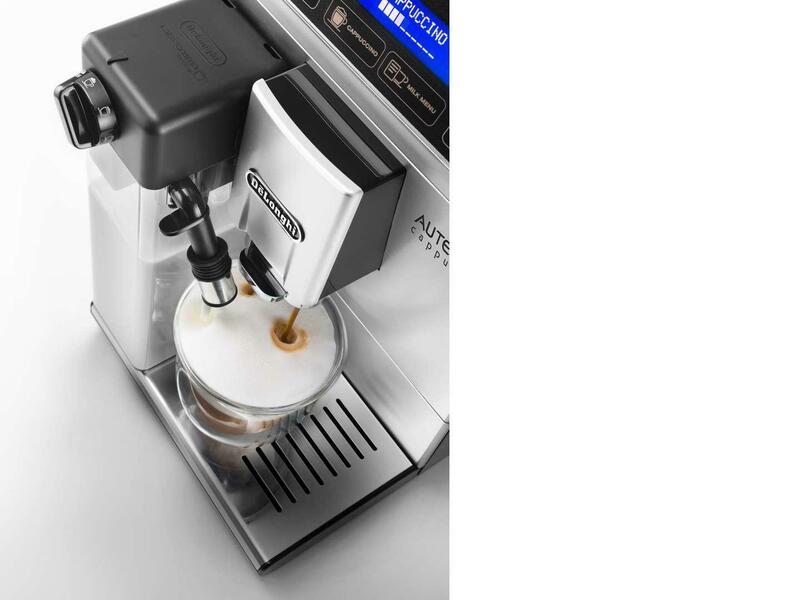 This coffee machine comes with one-touch buttons for your coffee shop favourites. Enjoy a perfect mix of pleasure. 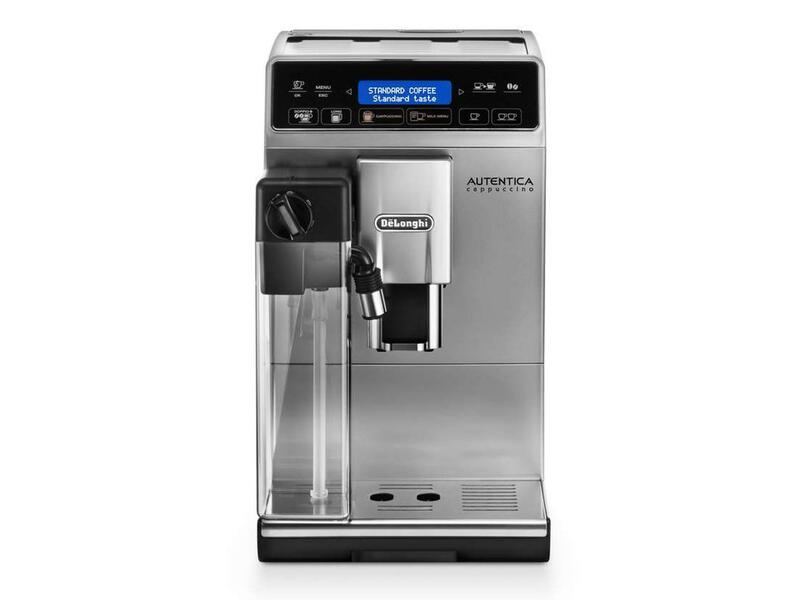 A creamy cappuccino, with dense milk foam, always at the perfect temperature … until the last drop. 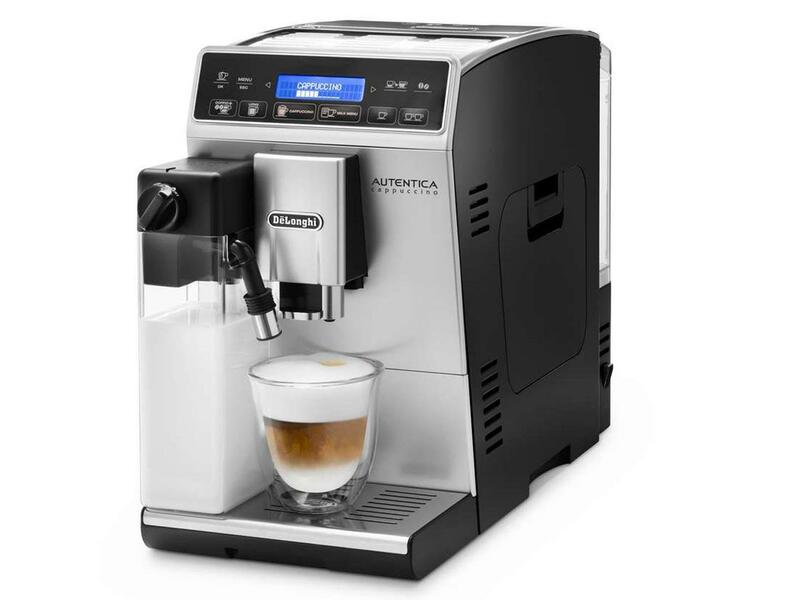 Apart from the direct milk button for Cappuccino, discover the world of milk entering in the Milk Menu, where you can choose among Caffelatte, Latte Macchiato, Flat White and Milk, which gives you the possibility to personalise your preferred milk. Choose your favourite milk beverage in the Milk Menu: Caffelatte, Latte Macchiato, Flat White and Milk – tailor your perfect drink.